If engagement is the global ‘lingua franca’ in commerce amongst shareholders, workers and their managers today, figures for France show that, compared to their Anglo-Saxon contemporaries, the French have been left behind. Aside from the generic reasons for low engagement worldwide, France has other more urgent issues which need to be addressed. Take Camille – a bright, young French girl, who told me that she was going to work as a ‘fonctionnaire’ (civil servant) because, although it was boring, it meant that she would have a secure ‘job for life’ and a pension. And can you blame her when the stakes are so high? An employee-friendly permanent contract (CDI contrat à durée indéterminée) is the ‘grand prize’ of French jobs. It means stability – it gives you access to a loan, means you can rent your own apartment, the list goes on… But comfort comes at a price, and the sad reality is that, as she is the first to admit, she is never going to put her heart, energy and intellect into her work – it is simply a means to an ‘end’. The ‘end’ isn’t bright – her manager’s expectations of her job are just as depressing. It’s a vicious circle. When, on 9 March 2016, the French government attempted to introduce legislation that would make the labour market more flexible and dynamic, Millenials like Camille took to the streets to lobby to have many important pro-business measures taken out. For Nicolas Lecaussin, Head of the Institute for Research in Economic and Fiscal Issues, a liberal French think-tank, “For the first time in a long time, a government understands that we need to give more air and flexibility to the job market.” And yet, 78% of those aged between 18 and 34 opposed the new law, according to an Odoxa poll. 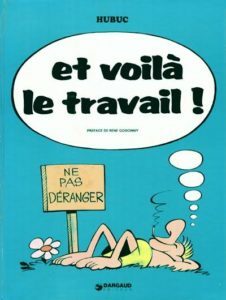 Whereas, in the US and the UK, measures like zero-hours contracts are on the increase and “fire at will” employment contracts happily go both ways (workers can resign with just two weeks’ notice), rigid practices in France and the unions’ clarion call of entitlement are crippling the French labour market, resulting in record levels of unemployment. Unsurprisingly, business leaders can’t do it alone – what they need is the cool head of an experienced applied positive psychologist with a proven methodology grounded in scientific research. Increasing engagement through Positive Psychology Interventions (P.P.I. ), such as ‘strengths finding’, is an excellent starting point. It’s about discovering your strengths – your learned strengths and your unrealized strengths not your weaknesses. Questionnaires abound (VIA, Clifton StrengthsFinder (Gallup), R2, Strengthscope), but the most common mistake is to stop there. It is not as simple as taking a free test on the internet and bingo your life changes, it is a starting point, you have to work it through. You have to understand when and where to use your strengths – both personally and professionally. Focusing on strengths energises individuals, teams and managers to improve what is strongest in a deeply practical way. It’s not fashion it’s fact: the growing field of Positive Psychology is a ‘how to’ for engagement that combines academia with business to create excellence. French institutions like HEC and EDF concur: it is an evidence-based approach that breeds resilience, well-being, increased motivation and a positive management style. Clearly, P.P.I.s come in many forms, and the most effective solution depends on the organisation’s profile and objectives. At government level, France knows it needs to take bold action. Its complex labour code and practices and its unyielding unions are stifling flexibility, in both the private and public sectors. It will be a long journey, but a more engaged workforce of revitalised Camilles is a sustainable ‘grand prize’. At an organisational level, positive leadership means giving workers a sense of purpose with enough autonomy to create intrapreneurs which would bode well for France and bring more creativity, innovation and, dare I say it, fun to work. At an individual level, the French have to join the global debate about engagement, to look beyond their laws and borders, and to put their heart, energy and intellect into a more productive cause. So.. for now at least, the answer to our question appears to be a resounding “Non!”. The French aren’t engaging – be it at a government, organisational or individual level – and, of course, you can’t have one without the other. Sadder still is that, unless the Camilles and their unions are willing to take to the streets to free the French government and the country’s institutions from the legal shackles that weigh down progress and stall change, then the outlook is that the engagement figures are unlikely to improve.